Breakfast is the most important meal of the day. We all agree on that. 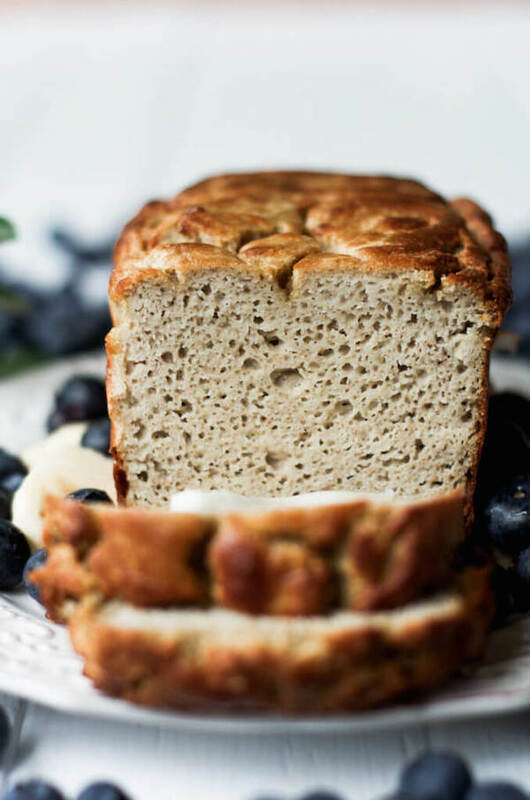 So, get ready for an easy way to make The Greatest Gluten Free Blender Banana Bread Recipe Ever! The Greatest Gluten Free Blender Banana Bread Recipe Ever! Homemade food is without a doubt the best kind of food for everyone. If you cook your meals at home using fresh ingredients you are helping your body stay healthy. But, do you also make your own bread? This is something I am now trying to do. And guess what? It is easy and for sure, super delicious! This gluten free banana bread is a great alternative for breakfast or even a healthy snack. Gluten free, good-for-you kind of bread. And the best part is everyone in the family will love it. Who doesn’t love banana bread anyway? Full of delicious banana flavor, this recipe is a MUST TRY! I found this recipe while reading one of my favorite parenting blogs. Only made a couple of adjustments and OMG! This is really The Greatest Gluten Free Blender Banana Bread Recipe Ever! Soft and moist in the inside, with a totally delicious crust. Few things in life as as amazing as homemade bread, I think we can all agree. I give breakfast a lot of importance because it is the first meal of the day, and gives you the energy your need. If you are interested in more breakfast ideas, please see 5 Worst Breakfast Foods For Kids Plus DIY Healthier Options. Try to stay away from processed foods and I guarantee you will feel better and have a lot more energy throughout the day. Prep time is only 5 minutes and it is just perfect to start the day. What is really great about this recipe is that you can make it in your blender. It is 100% mess free. It is so easy to make that you can pretty much make it every single morning! Make sure you make it in a high-speed blender (I used my Vitamix ) for optimal results. 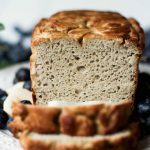 A quick and easy gluten free banana bread recipe that is just perfect for breakfast or a healthy snack. Combine all the ingredients in a high speed blender, and blend until smooth. Next, line a small loaf pan (3½ x 5 inches) with parchment paper. I was so hopeful but I believe some type of liquid has been omitted from this recipe. Used my vitamixer and it is not able to pour …it is more the consistency of bread dough. Anyone make this? So sorry you had trouble. I made it in my Vitamix and it was fine. Maybe I’m thinking the bananas were not ripe enough?